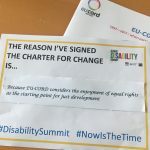 ‘Disability inclusion should not be a heavy topic and a burden, but energising and a great thing to do.’ With that thought, EU-CORD member Light for the World has developed a game that helps to facilitate disability inclusion in a playful way. 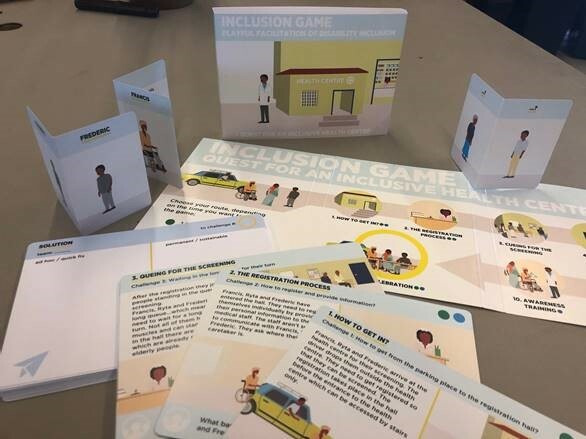 The Inclusive health game is the first game in a series of Inclusion games. 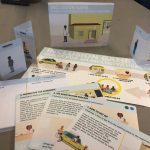 The Inclusive Health Game helps you and your team to understand the barriers that people with a disability face when they make use of health care services – and to create short term and long term solutions. You can now order the game in a box, that can be shipped to you by regular post. Or you can download the digital version of the game that can be used on a tablet or laptop or printed with a regular colour printer. 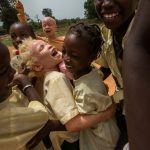 For both options, go the website: www.inclusiongame.org. With the instructions provided anyone can play the game. On the 9th of October at 10:30 Central European time, we are organising a webinar where we show the Game and give room for questions and answers. 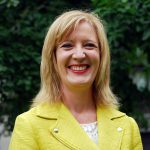 Please send an email to a.sengalrayan@light-for-the-world.org to subscribe for the webinar.